Along with appraisers, estate lawyers, and CPAs, family business owners were present in an Internal Revenue Service auditorium recently, to share their opposition to propose Treasury Department rules that will have a significant impact on their legacy plans. These proposed rules are referred to as the 2704 regulations and these would minimize valuation discounts and lead to increased estate taxes on the death of an owner of the family business. Many of the people opposing these regulations were in the room to support that they be withdrawn entirely. 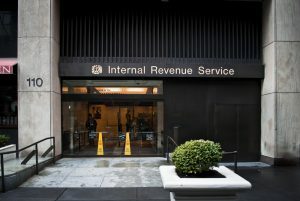 Supporters of the rule believe that the estate gift and generation-skipping transfer taxes would close a tax loophole that is only being used by the wealthy. However, opponents believe that this would eliminate any discounts which are used appropriately and legitimately across succession planning toolkits across the United States. Many people testified of their concerns about how this would impact their family business. This hearing drew the largest crowd ever to show up at a public hearing at the Treasury, and the proposed rules have already drawn comments from 9, 477 members of the public as well. The hearing itself lasted all day. As estate planning and business succession planning tools and tactics are subject to change, it is important to form a relationship with an experienced business succession planning lawyer early on. According to plenty of research studies, half of all individuals in the United States don’t have an estate plan or a will at all. People make plenty of opportunities to make excuses for putting off the inevitable. For example, you may be uncomfortable thinking about or planning for your own mortality, or you may be under the impression that you don’t have enough assets to warrant an estate plan. However, passing away without a will or any more extensive plan can only add further grief and frustration for your family members. You could risk changing the family dynamics by having family members forced to figure out the next possible steps. During a time when they are already coping with the grief of a lost loved one, it can be too much to bear to deal with the probate process. Without any will in place in New Jersey, decisions about who will administer your estate or who could be appointed to be the guardian of your minor children will fall to a local probate court. This might mean that your intentions are not carried out as you would have wished them to be. Thankfully, setting up a consultation with an experienced estate planning attorney gives you the opportunity to address these issues sooner rather than later. Your estate plan is something that needs to be flexible and adjustable based on your individual needs and your loved ones’. A knowledgeable attorney can meet with you on an annual basis to ensure that your documents have incorporated any changes in the family. Could Estate Planning Actually Be Used to Relieve Your Stress? There are many different reasons that you might choose to engage in the estate planning process and all of them are important. Thinking carefully about your family’s future as well as the individual wishes you have for how your owned assets will be passed on are some of the most common reasons that you might approach the estate planning process. 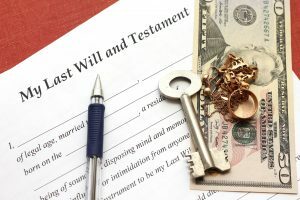 Likewise, many people think about estate planning in the context of handling something after they have recently been married, divorced or had a new child added to the family. When confronting difficult or rare medical issues, it is important to consider long-range healthcare planning as well. An increasing number of individuals will be confronted with long-term care planning opportunities. With long-term care, disabilities and challenges but failing to plan for these could mean unnecessary financial stress. Thinking carefully now about how you plan to approach the long term care planning process can enable you and your loved ones to approach the future more effectively. For example, are you going to purchase long-term care insurance to assist with covering these costs in the event that you had a long-term care event? Or will you be relying on yourself, essentially self-insuring? Bear in mind that there are strict rules about qualifying for Medicaid and that you may need to take action now in order to capitalize on a plan that allows you to ultimately qualify for Medicaid down the line. Don’t wait too long to take these steps as it could ad additional stress and frustration for you and family members. It can even be difficult to make the right decisions when you feel rushed into this opportunity. Do not hesitate to get the help you need from an experienced estate planning and elder law attorney. No matter the size of your business, it’s important to think ahead to the future. This could be one of the most important ways that you protect your loved ones and also ensure a successful financial future for your business. What follows are several of the most important tips to keep in the back of your mind when it comes to succession planning. The longer you put off the process of succession planning with an attorney the harder it will be to take action. Involving your family. No matter what vision you have for your future, make sure that your relatives are at least included in succession planning discussions. Put together a team of advisors. Your dream team of advisors should include a business succession planning attorney, business partner, succession planners and even accountants to guide you through what could be a complicated process. Include and exit strategy within your business plan. There’s a good chance that you already have a business plan identified for the next several years. Your exit or succession strategy should also be incorporated into this plan. Identify and train a successor. 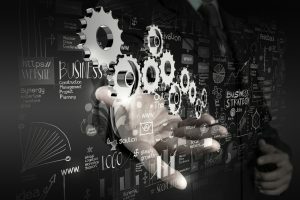 One of the most common mistakes made in the business succession planning process is not getting the appropriate help and training opportunities for your business today. Thinking long range means you need to carefully consider who is within the company now who could potentially be trained to take on a more management role. This may even require bringing in outside talent if you do not currently have someone who is interested in this potential role. Waiting too long could jeopardize the future of the company because the person you select may not have the appropriate background or training in place if something were to happen to you. Consulting with an experienced business succession planning attorney is often a first step towards success. As you gather with family for this holiday season, keep in mind that talking about your estate plan could become difficult if you have plans separate from what your loved ones intended. However, this is also a great opportunity to stay focused on what you need to share and how best to support your loved ones. First of all, make sure that someone has access to the information that will be necessary in the event that you pass away. For example, your estate planning attorney should have a copy of everything but you may also wish to let a loved one know where relevant information such as your documents are stored, like in a safe deposit box or access to your password related information. You may want to have your loved ones step in to deactivate or memorialize your social media accounts, for example, but they may be unable to do this if you do not provide them with the appropriate tools to get it done. It can be difficult to manage these accounts event after someone has passed away and you have relevant proof that they are indeed deceased. Companies must obtain additional support and it may be simply easier for you to leave behind your password access information or use a tool such as Last Pass to authorize other individuals in the event that something were to happen to you. When visiting with family, try to avoid conversations about who will be receiving what unless your loved ones can come to a sense of agreement on various pieces of property. Over the holidays, arguing about various assets and materials could quickly devolve into a major family argument if you are not careful. Do You Really Need Consistent Maintenance for Your Estate Planning? When it comes to putting together the critical documents that outline what will happen to you in the event that you become incapacitated or your property in the event that you pass away, it might seem like a crockpot that you can set and forget. However, estate planning requires regular maintenance and oversight just as you would visit your dentist or your doctor on an annual or biannual basis for your health. As the dynamics of your family change, it is important to keep in contact with your experienced estate planning attorney so that you can adjust your documents as necessary. As family members pass away and new ones are born into the family, your estate plan should account for these changes and for different circumstances that can arise over time. Most people update their estate planning according to major life-changing events like having a child, retiring, or getting married. However, this leaves you at risk for not having a plan that is in line with your ultimate retirement and other planning options. The purpose of any planning is to ensure the maximum outcome for everyone involved and as your needs shift within your family, you need to incorporate these planning opportunities into the estate planning process as well. During the holidays there is a good chance that your life is busier than ever so this might mean that you are looking at a massive to-do list. However, this is a great opportunity to reflect back on the previous year and think carefully about your to-do list as you approach retirement. What follows are several tips you need to keep in mind in order to be successful with this. You might have thought previously about retiring at a particular age but now is a good time to take a step back and look at whether or not this is in line with your overall financial situation. 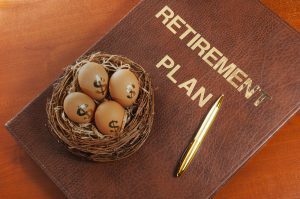 It is not enough to only recognize and set an intention for what you intend to withdraw from your retirement plan. You also need to know how much you have to withdraw. For example, after you turn age 70 and a half, you’ll need to begin taking money out of your traditional IRA as well as a 401(k). This is known as a required minimum distribution. Do you want to stay at home pursuing hobbies or traveling the world during your retirement? Each of these can have a significant impact on the money you will need to support yourself. Once you pass 65, you may be eligible for Medicare, but you also want to be familiar with what it does and does not cover in terms of your costs, so that you can set aside a healthcare budget on an annual basis. One service that Medicare doesn’t cover, or in the best case scenario, covers only in a small way is long term care. In the event that you’re looking at an extended stay inside a nursing home, this could be a major mistake. Your retirement to-do list should always include estate planning as well. You’ll want to work directly with an experienced estate planning attorney to ensure that all your bases are covered. Many people can share a horror story about a loved one who did not have appropriate end of life care documents set up when an incapacitating event occurred. Durable power of attorney which typically will go into effect immediately and give an agent the authority to manage someone’s finances if he or she becomes incapacitated. Medical information release which gives your parents’ doctors permissions to share medical records with you. Without a standardized release form, it’s a good idea for your parent to get one from their primary care physician and any specialists. A healthcare proxy. This may also be referred to as a power of attorney for healthcare and this gives an authorized agent the right to make medical decisions on behalf of someone else if that person is unable to do so. This is also an important opportunity to consider a conversation about what the other person considers to be an acceptable quality of life. 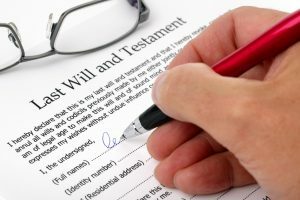 A living will which allows the authorizing person to detail written guidance about the kind of treatment that the parent wants or doesn’t want in the event of a terminal illness. Do not hesitate to set up a meeting with an experienced New Jersey estate planning attorney to learn more about ow you and your parents can benefit from planning opportunities. If you are thinking about possibly becoming a snowbird, it’s a good idea to do some financial and estate planning first. A recent study from Maryland indicates that by age 61, the majority of individuals feel as though they are free to choose where they want to live the most. Earlier in life, however, many people say that their life responsibilities such as their place of work and their family will dictate where they dwell. This means that it’s no surprise that some retirees will choose to move at least part-time to a new location. 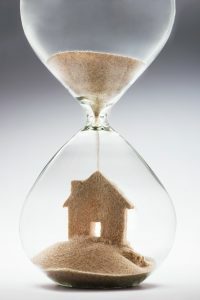 Approximately one-third of retirees told Merrill Lynch that they have already moved to a new location part or full time and another one-third anticipate doing so shortly. It is important to consider which place you intend to keep as your primary place of residence if you are considering your estate planning options. Some states have no income tax, for example, and others have tax rates for retirement income and on real estate taxes for older individuals. Estate taxes can also be more favorable in some states than in others. Regardless, you should have a conversation with your experienced estate planning attorney in New Jersey before you identify a new place to move to. Estate planning is about more than thinking of who will inherit your assets when you pass away. It is also important to think about who will manage your finances, your healthcare decisions, and your assets in the event that you become incapacitated. Incapacity planning raises the question of whether or not it makes sense to confer legal authority to another individual or wait until someone has lost capacity to manage their own affairs. Under a power of attorney and agent who has been named is capable of controlling a principal’s financial property and legal affairs other than those assets that are held inside a principal’s trust. The fiduciary authority’s scope conferred on a power of attorney agent can be extremely narrow or very broad. The majority of estate planning attorneys today will draft broad powers of attorney to cover a wide range of unexpected circumstances. This is primarily because an incapacity event such as a disability is usually unexpected and a very narrowly tailored power of attorney can prevent the agent from being able to do what he or she needs to do. 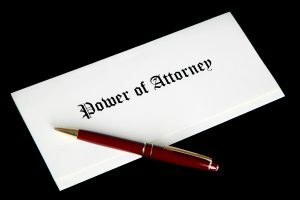 In the event that a power of attorney is effective after it is signed, this avoids delays and difficulties associated with determining the incapacity of the principal and therefore does not need to involve any third parties. To learn more about incapacity planning and how to use a trigger to structure one, consult with an experienced New Jersey estate planning attorney today. An individual retirement account offers significant tax-deferred savings as a savings vehicle. Unfortunately, many people don’t realize that tax deferral is not the only benefit than an IRA offers. Another potential benefit is creditor protection in the event that a person has to file bankruptcy. This raises the question, however, of whether or not beneficiaries are protected if the person owning the IRA passes away. Investors must think carefully about how their assets should be protected in the event of lawsuits or bankruptcy. This process is known as asset protection planning. In recent years the Supreme Court has helped to provide clarity on these issues. 401(k)s and Social Security benefits as well as pensions have some protection from creditors in bankruptcy proceedings and IRAs do as well. This means that your IRA assets are typically safeguarded and cannot be ceased by a creditor if you choose to file a bankruptcy. 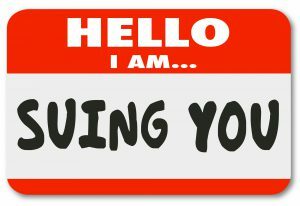 Be aware, however, that this protection does not extend to other types of civil lawsuits, IRS levies or judgements. Your assets may also be protected from creditors based on your state law but bear in mind that these rules vary based on your location. 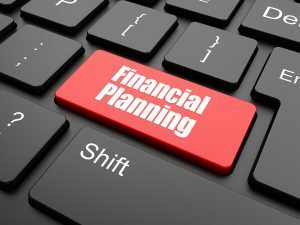 Assets that have been rolled over to an IRA from a qualified plan may not be subject to full protection and the same dollar limits. Consulting with a knowledgeable asset protection planning attorney is strongly recommended so that you can craft a plan most in line with your individual needs and the risks you want to guard against. Proper asset protecting planning takes place well in advance of a crisis event. A medical power of attorney may also be referred to as a healthcare surrogate or a healthcare proxy, but this critical document allows you to appoint another individual to make medical decisions on your behalf if you become unable to do so. 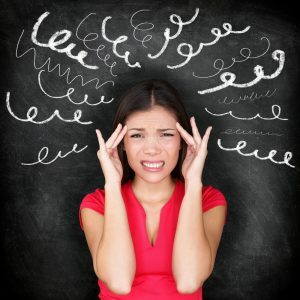 In the event that you are no longer able to understand medical instructions as a result of advanced cognitive decline or being in a coma or in any situation where you are no longer able to communicate, you will need someone who can identify the situation and pass on your wishes to the healthcare provider. Your physician can help you to determine whether or not you are unable to make your own medical decisions. When this occurs, the person you have selected with the medical power of attorney, otherwise known as your agent, can make medical decisions on your behalf. It is strongly recommended that you select someone you trust and someone who understands your wishes. Frequently, this agent will be a family member but it could also be a neighbor or a friend who lives closer than family members. This individual should carefully understand his or her responsibilities as they may need to communicate your decisions about your end-of-life care. If you do not have this document and become incapacitated, the court will be responsible for appointing a guardian for you. Without having this document, you may be leaving the opportunity to make these pertinent decisions about your future up to someone else who you are not familiar with. 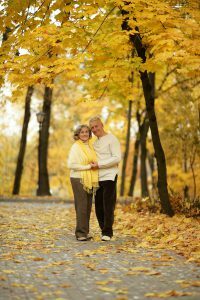 Research shows that as more baby boomers entire retirement and pass away in the coming decades, $30 trillion in assets will be passed on to loved ones like children or grandchildren. However, far too many people have not even taken the necessary basic steps to protect themselves and their loved ones. Failing to plan can make for unnecessary confusion and frustration for your beneficiaries. This great wealth transfer is a good opportunity for any baby boomer to set up a meeting with an experienced estate planning lawyer. One of the biggest reasons to accomplish this is simply due to the rising cost of long-term care. Someone who has not approached long-term care planning with the help of an experienced lawyer well in advance may struggle to make things happen in the way they want. It might also require them to go through the probate process. Long-term care has the potential to completely wipe out someone’s estate. The costs associated with long-term care, of course, depend on the patient’s individual needs and the location of the facility, but it’s expensive regardless. Just one long-term care event can take out a significant portion of someone’s savings or their estate, and this is to say nothing of long-term issues like cognitive decline associated with Alzheimers. Bear in mind that research shows that the median cost per month for a home health aide is $3861 for approximately 44 hours of work. A private room inside a nursing home, however, carries a median monthly cost of $7698. Medicare only covers limited short-term issues and Medicaid, without proper planning, could require someone to spend through their assets before they qualify. All of this can make for a frustrating long-term care situation. Thankfully, setting up a meeting with an experienced advanced planning lawyer can help you to lay the groundwork for your estate and your long-term care with enough time to achieve all your goals. Contact us at info@lawesq.net. Everyone can benefit from some type of estate planning, but this process becomes all the more important in the event that you’re blending families. The best time to handle this situation is now, before any of the necessary plans must be implemented. Estate planning is not always easy, but partnering with the right lawyer can make the process easier to manage. A knowledgeable lawyer can go a long way towards helping you figure out next steps. One of the most important things to remember is to update beneficiary designations for accounts like your life insurance policy or your IRA. Even updating these details inside your estate plan doesn’t mean that it overrules what’s listed in your account paperwork- whatever your insurance company or IRA has on file will be the information referenced. If you have a child or former spouse listed as the beneficiary to your IRA, for example, then that individual will receive the assets if something happens to you. This means your current spouse may be ignored entirely. 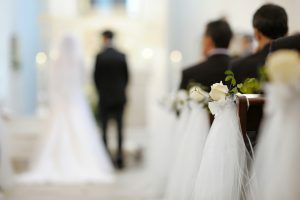 Getting remarried should prompt you to review all this material. Another good option for your estate planning purposes is to create a living trust. This can help your loved ones avoid the process of probate while also giving you more information about how your assets should be distributed. The trust could even give your surviving spouse income for the rest of his or her life if it’s structured properly. A prenuptial agreement may be the final planning tool you can use in order to protect yourself with a blended family. Assets entering complicated blended family situations may need special planning opportunities that could be handled by an experienced estate planning lawyer in NJ. Combining two different families is an exciting occasion, but it’s one that warrants insight from an experienced lawyer. Asset protection planning is an important process that allows you to take all of your chips off the table while you are still in good times so that you are eligible to walk away from the table a winner, no matter what happens in less good times. Those individuals who worry the most about asset protection should be those who are most concerned about getting sued. Doctors and others with a high perceived value of wealth are at the most risk of being pursued because creditors believe that they have assets to attack. Bear in mind that asset protection planning should be approached comprehensively with the assistance of a knowledgeable asset protection planning attorney. Asset protection planning in and of itself is not a complete replacement for insurance. It is a myth that asset protection plans will totally scare away plaintiffs. An asset protection plan also doesn’t cover your legal fees in the event that you do need to defend against a lawsuit. 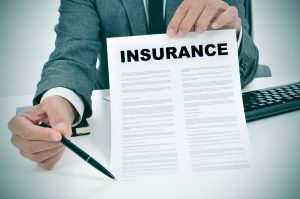 Insurance can assist to supplement your current asset protection planning goals and it can help you survive an allegation of fraudulent transfer. In the event that you do become sued, the insurance company may pay to defend this and settle this since this is what you are paying premiums to have covered in the first place. To learn more about asset protection planning and how you can guard against problems in the future by taking action now, consult with an experienced New Jersey asset protection planning lawyer.